There's just something about a blue drink... It's interesting and enticing, fun to look at, to serve and best of all, to drink. And when that blue drink is called Deep Blue Sea and is served in the summer it's pretty much irresistible. I don't know the origin of the drink other than the fact that recipes for it can be found using either vodka or gin. Playful color aside though, it's not a fruity sipper but rather a fairly strong cocktail. Still, can't you just picture an entire pitcher of it at a summer party? Cheers! 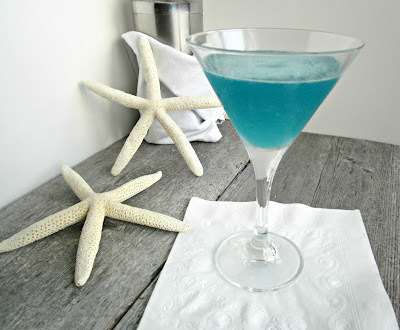 Add the vodka, sour mix, blue curacao and pineapple juice to a cocktail shaker. Fill with ice, shake well and pour into a chilled cocktail glass. To make the sour mix, add 3 oz. of water, 3 oz. of sugar, 2 oz. of lemon juice and 2 oz. of lime juice to a pot. Simmer on the stove top until the sugar is dissolved and allow to cool. Store the unused portion in the refrigerator. I can totally imagine this being a hit on a summer brunch! I totally agree with you about a blue drink! I can totally picture myself drinking this while sprawled out on beach blanket by the sea. I have make this drink. Recipe saved! Your photos are stunning. The blue drink just pops! Ummmm, yes. Trade ya' for some bacon chocolate chip cookies. K? I love blue curacao!!! 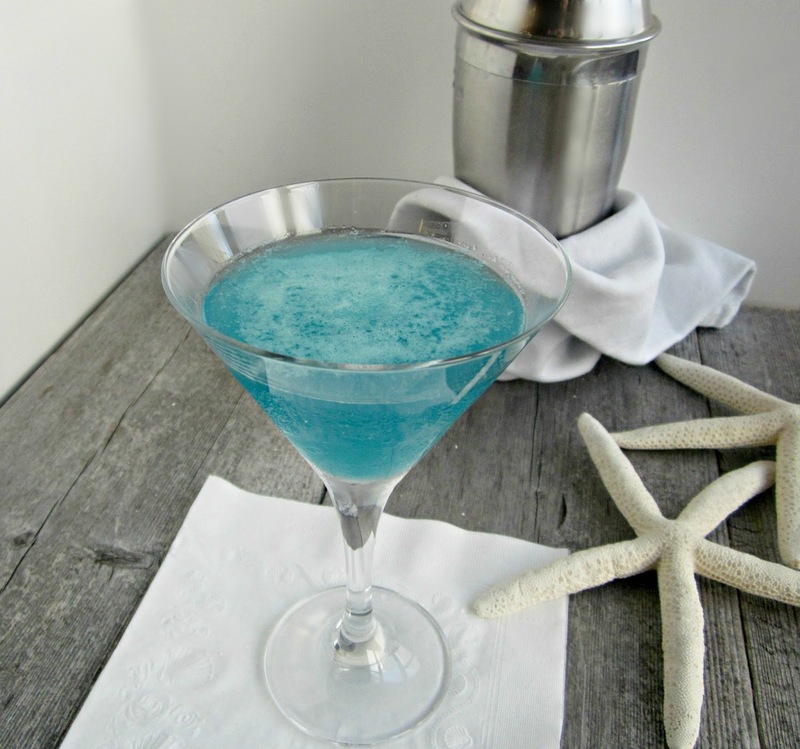 Blue Hawaiian's are my favorite drink so I'm gonna have to try this. I was looking at this as I took a sip of my drink and almost forgot I was not drinking the deep blue ocean! I love sour mix so I think I could get hooked on these especially with the refreshing blue color! Great post! This sounds so perfect during this weather. The only thing is that I think I would want more than just one glass full, and i barely ever drink. Annnd, I've nominated you for The Addictive Blogger Award! Yay! Great picture. Not sure how long the drink has been around either but its always a hit. Cheers! The deep blue sea looks light and refreshing !!! I love the color of it. I think it taste great. Try that one soon. I'm not usually into martinis, but that looks so pretty I would give it a try. Gorgeous photos. I love how you've staged the cocktail with all the beachy items. What a fabulous-looking drink! Drink is stunning :) Amazing pictures on the blog! Greeting from my kitchen! That sounds wonderful! But if it is too sweet, why not use Selzer instead of 7UP? You have got the best martinis going. I don't mind mine fairly strong either, LOL.